On the 10th (Fri), get outside with Marine Drive. To see traveler tips, ratings, reviews, and more tourist information, go to the Mumbai tour itinerary builder site . The Route module can give you travel options from your home to Mumbai. January in Mumbai sees daily highs of 36°C and lows of 19°C at night. 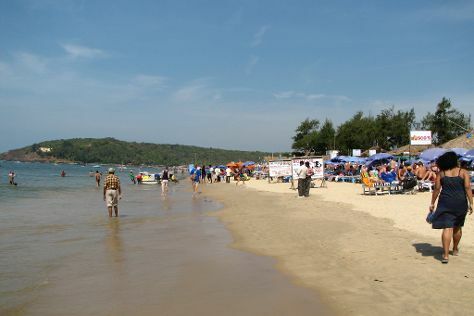 On the 10th (Fri), wrap the sightseeing up by early afternoon so you can travel to Goa. Start off your visit on the 11th (Sat): stop by Literati Bookshop & Cafe and then tour the pleasant surroundings at Baga Beach. For reviews and more tourist information, read Goa online travel planner . Traveling by combination of flight and bus from Mumbai to Goa takes 5.5 hours. Alternatively, you can drive; or take a train. Plan for somewhat warmer nights when traveling from Mumbai in January since evenings lows in Goa dip to 26°C. Cap off your sightseeing on the 11th (Sat) early enough to travel back home.